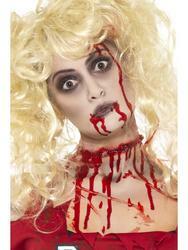 Transform yourself into the unlikely candidate for the title of prom queen this Halloween with this gorey prom night zombie Halloween fancy dress costume. 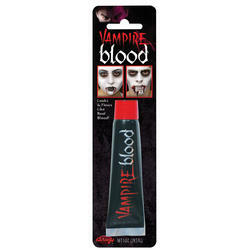 Included is a long white and grey coloured dress decorated with realistic looking fake blood and tattered and frayed edging to the waist and hemline. 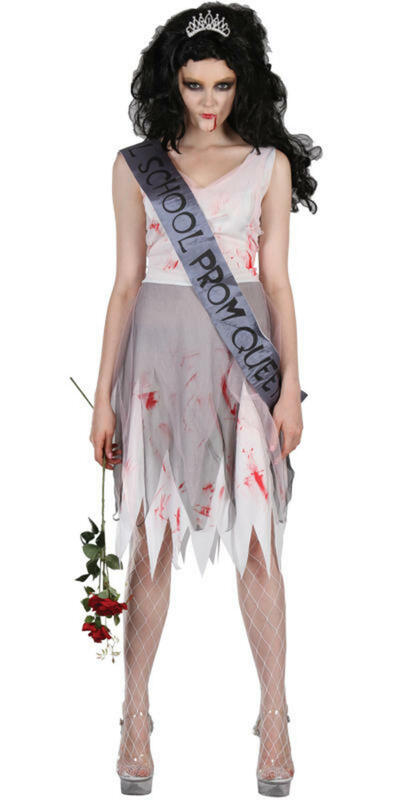 Completing the zombie prom queen fancy dress costume are all the important accessories for turning prom night into fright night, a sash decorated with a printed "School prom queen" slogan and a silver tiara. Perfect for scaring your fiends and fellow party goers this Halloween, why not add the finishing touches with a zombie make up set?